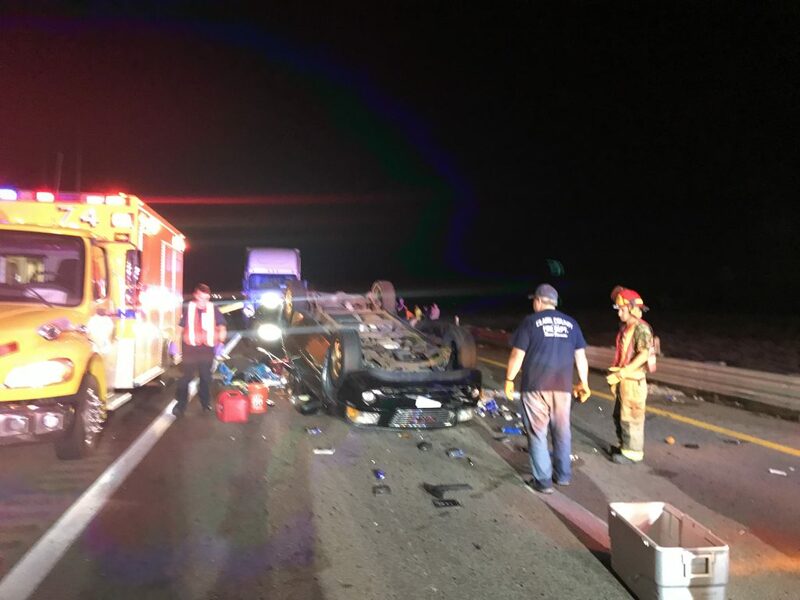 ST. GEORGE — A vehicle rollover on northbound Interstate 15 in Nevada Monday morning sent four people to the hospital, including a six-month-old infant, according to a press release from the Mesquite Fire and Rescue Department. 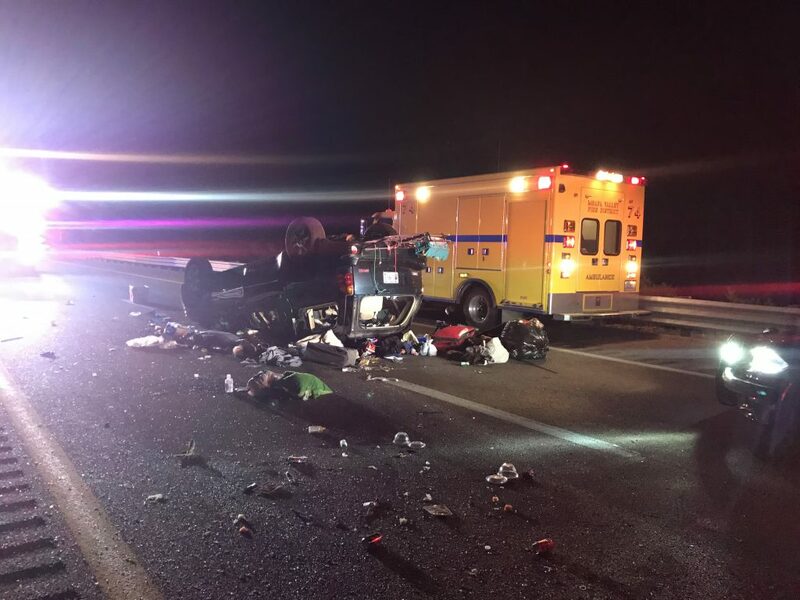 The black GMC Envoy was traveling north on I-15 near mile marker 105, south of Mesquite, and carrying four passengers. 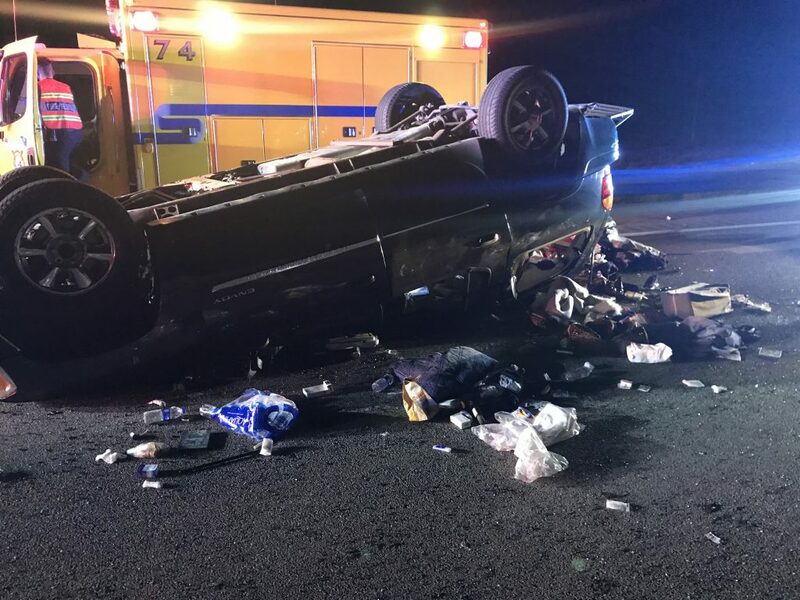 The rollover occurred at approximately 4:20 a.m., and all northbound lanes were closed for over an hour while crews investigated and cleared the scene. The cause of the incident is still under investigation, but witnesses say there may have been another vehicle that hit the SUV causing it to lose control and roll. The Clark County Fire Department and the Mesquite Fire and Rescue Department responded to the scene and transported all four patients to Mesa View Regional Hospital in Mesquite. They were reportedly in stable condition.